With GDC 2019 just around the corner, it’s just about time to start looking at that show planner and penciling in the best of what the event has to offer. As your dance card starts to fill up, don’t forget that GDC isn’t just about sessions, GDC Play and afterparties, but also the off-site gatherings, the many demo and open play community spaces, and, this year, even a lowkey garden to listen to music and relax in during one of those rare free moments when you’re not in the halls of the Moscone Center. Here’s what we’re looking forward to this year. One of the most creative and exciting parts of GDC, alt.ctrl.GDC is a contest showcase highlighting the innovative use of alternate controllers in videogames. This year promises some especially intriguing titles, like Plünge, a one-button game played with a toilet plunger; Koo-Koo, a multiplayer game that is played with the mechanisms of a cuckoo clock; and Neon Nemesis, an arcade game with a literal secret backdoor. Among the many other promising entries (the winner receives a $3000 prize) is Cook Your Way, a political game that is played with a cooking playset and acts as a comment on the immigration process, and HELLCOUCH: A Couch Co-Op Game, which uses LED lights to turn your couch cushions into playable game controllers. The games will be available from Wednesday to Friday, March 20-22, 2019, of the event. The full list of all 20 games can be seen at the official page. I try not to play favorites with the many clusters of amazing games dotting the floors and halls of GDC, but I gotta say, Day of the Devs is pretty special. This year it will be once again held at North Hall, on the lower level at the bottom of the escalators. The games shown this year will include an unannounced DoubleFine game that will be available on Wednesday through Friday. The rest are as follows (* denotes titles that are playable for the first time). 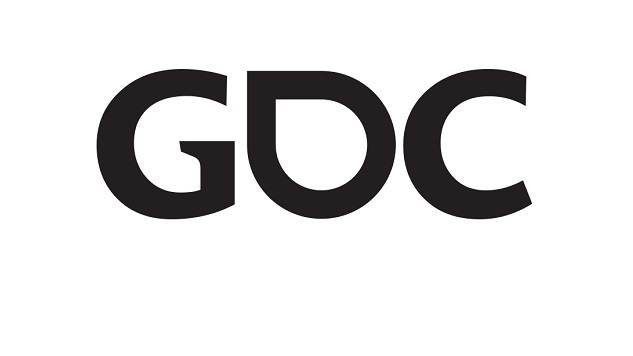 For more information on each game, be sure to check out the list over at the GDC site. A total of 24 games will be shown in the Indie Megabooth this year, the highlights of which can be seen in this year’s trailer above. As in years past, only half of the games will be shown the first half of the week, and the other 12 during the last three days. The schedule will run as follows (note: * denotes titles that have been recently revealed and/or are publicly playable for the first time either globally or in North America, ** denotes titles that will be showcasing new content). You can find the Indie Megabooth in the West Hall on the second floor. For more information and trailers for all the games being shown this year, check the site. The “unconference” of GDC lives on! The annual Lost Levels, the off-site gathering held each year to offer an open creative space for students and developers not “officially” attending GDC, will once again be held near the gazebo at Yerba Buena Park on Thursday, March 21 (Friday if it’s raining). As a reminder, be sure to avoid amplified sound (no mics or megaphones), pass around/follow the sign-up sheet, and clean up after yourselves at the end of the day. For more general rules and details, head over to the site. One thing that may be of particular interest to Paste Games readers this year is Board Game Design Day, three sessions that will cover various tabletop related topics over the course of a single day. The schedule is as follows. If you’re in need of some relaxing off-site time, head over to Yerba Buena Gardens, where this year GDC will be partnering with Niantic to offer “seating, blankets, games, and curated live music” to the public during the event (with food trucks available to passholders). There will also be a “real” Pokemon GO stop and Ingress Patron Portal, so if you’re as curious as I am as to what that will entail, stop by! (Note: we have confirmed that GDC @ The Gardens will not be conflicting with Lost Levels). If you’re scouting the next big thing, GDC is already a great place to be, but the Experimental Gameplay Session, now in its 17th year, is another fantastic opportunity to check out the games that everyone will be raving about in a few years. Home to the debut of previous indie darlings and quirky fan favorites like Katamari Damacy, flOw, Braid, and Portal, the showcase will be a display of various prototypes of games that seek to “defy conventions and traditions in search of new genres and ideas”. If you’re passionate about the expressive and experimental potential of the medium, this is absolutely the session for you. This year is the fifth consecutive Train Jam, a three day, pre-GDC event that sees hundreds of developers take the trip from Chicago to San Francisco and create their own game along the way. This celebrated creative exercise results in dozens of small but interesting titles, and once again they will be on display and playable at GDC. To get your hands on them, be sure to stop by the booth in North Hall at GDC Play, near the alt.ctrl.GDC and Day of the Dev displays (check the full floor map for exact location). As far as coin-op games go, Paperboy is a legend, and this year at GDC, John Salwitz, co-creator of Paperboy, will deliver a postmortem that promises to be a “nuts and bolts” look at ‘80s arcade design and what Atari development was like at the time. It’s a tremendous opportunity to get the scoop on a beloved classic, so be sure to catch it on Wednesday. Picking up where last year left off, Game Workers Unite will be at GDC 2019 as part of the continued effort to establish pro-union support within the games industry. There are several opportunities for education, organizing and networking, so browse the information below and get to it (for full session descriptions, click the title link). Note: capacity will be ~75 people at a time and this event will no doubt be very popular so please plan ahead. For more details plus information on union organization, visit the GWU site. One last thing. This year, GDC is running a sock drive for the homeless in collaboration with St. Anthony’s, and there will be bins outside of each hall to collect donations. Organizers have asked for “men’s or women’s warm wool socks, preferably black, gray or another dark color,” with reinforced toes and heels if possible. There are locations near Moscone Center where socks can be purchased, most notably the local Target, which is about a block away. Please consider making a charitable contribution.